Find the 5 differences in both pictures. 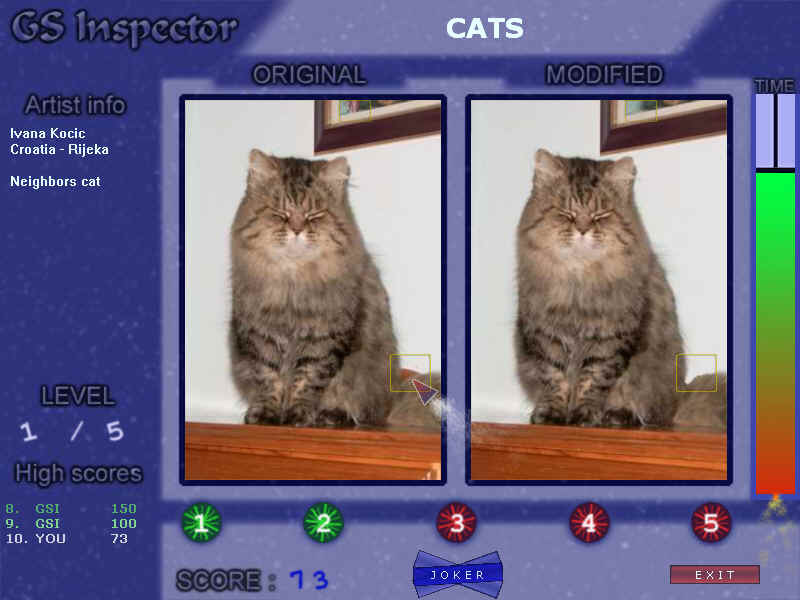 A great game with different 45 pictures wherein you have to find the 5 differences in each picture and that all in a limited time. The game has a nice design and music. Use the MOUSE to point and select.